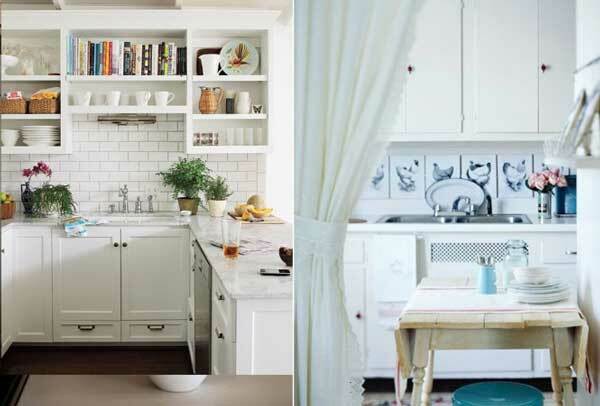 A cottage or cabin kitchen is typically smaller than the average home kitchen and can present some interesting design and storage challenges. I know this first hand as I am sitting in my little dining nook, at our cabin, looking at our cozy kitchen as I write this. Luckily, there are lots of ways to overcome these challenges and have a kitchen that is functional, as well as stylish, in your vacation retreat. 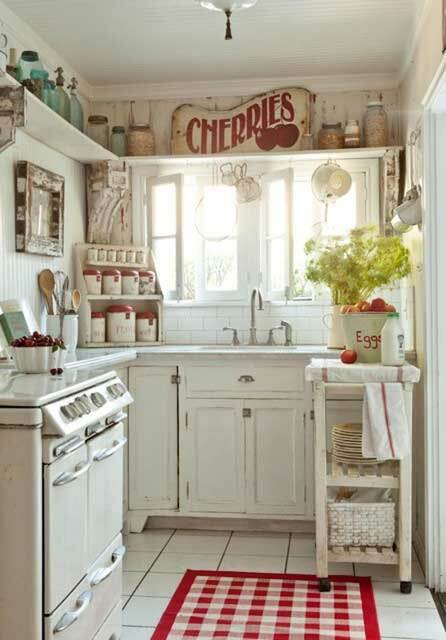 I have found several cottage kitchen ideas that show creative storage techniques and unique decorating tips that are perfect for making the most of a small space. 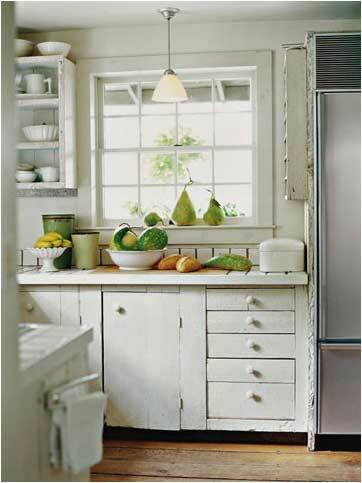 I love the look of these kitchen cabinets for a cottage. Notice the shallow shelving unit between the window and refrigerator? This is a perfect storage option to squeeze in and would fit spices or small cans perfectly. And..why not use the top of an open shelf wall cabinet for even more visible storage? These are a couple of good ideas that blend in nicely with the rest of the decor. Decorating in all white is a great way to make a space look larger. It also is bright, fresh and clean and seems to shout summer cottage. 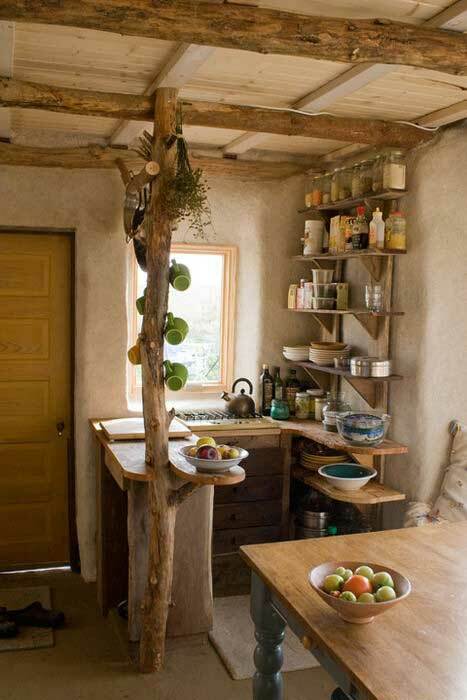 On the more rustic side of things….here is a kitchen with some inspiring ideas from nature. The mug “tree” is from an actual tree which is pretty unique and clever. An additional log, hung horizontally makes a perfect spot for hanging pots. This kitchen doesn’t have any upper storage cabinets but that is where some creative storage ideas take over. A handy cart, counter cabinet, and large upper shelf fill in for the needed storage space. There are also some hooks under the shelf for some additional hanging.